Some say Ken Block has too much money. When you see his cash and idea put to good use like the above 'snowcat' it all seems worth it. For those of you who don't know Ken Block, he is a rally car racing guru and is forging the way for a new wave of drivers. Now it seems he is taking on the snow. This video was too cool not to share. Enjoy! 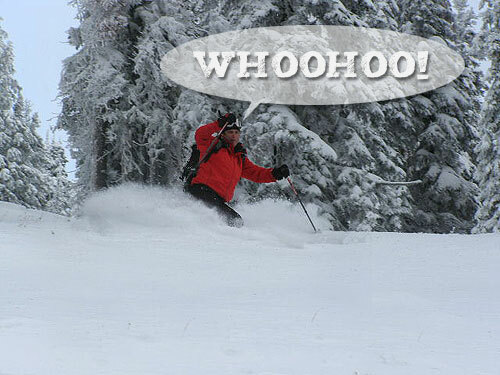 First Tracks at Big Red Cats! Now is your chance to own your a snowcat! Well, it is the Lego version, but its still really cool. This Lego Technics Snow Groomer is so realistic it even has working controls to maneuver the blade. Could be the perfect gift, could be the perfect toy to sit on the desk. 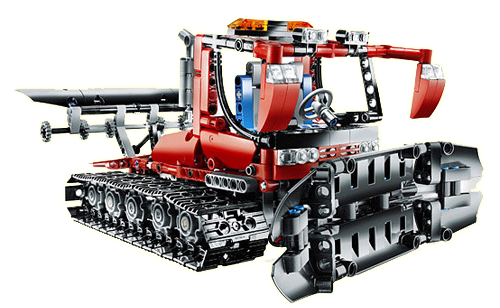 Check it out at the Lego Shop Online. Ever had trouble getting to your skiing destination. Need a little more traction after that last snow fall. Check out 11 great antarctic vehicles. 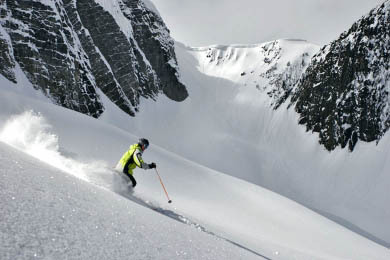 Golden, BC, Canada (September 10, 2009) - Great Canadian Heli-Skiing is excited to announce the creation of 2 types of packages that combine resort skiing at Kicking Horse Mountain Resort with heli-skiing at Great Canadian Heli-Skiing and catskiing at Chatter Creek in the powder-choked Selkirk and Purcell Mountains of interior British Columbia. To celebrate Shane’s life, K2 Skis is releasing a limited edition Shane McConkey Ski, built on the Pontoon chassis. Graphically inspired by Shane’s personality, ability, and many contributions to our sport, the ski will be available at participating authorized K2 Dealers and K2skis.com beginning in October. Approximately 500 pair of the unique, individually numbered, commemorative skis will be produced and sold world wide. All net proceeds generated by sales of the Shane McConkey Tribute ski, will be donated to Shane’s family. As a result of a deal with neighbouring Eagle Pass Heli skiing, Mustang Powder now has the use of some crazy cool new terrain. They are also gaining improved access to some old runs which, due to the inefficiency of the snowroad system, were rarely used. The real story here is that this opens up some really big terrain with long spectacular runs – normally only seen in the heli skiing industry. So this news comes to us on the first rainy day of the summer. I find this kind of funny 'cause as the skys turned grey this afternoon I started to dream about when the snow is coming... Needless to say, news of expansion plans at Mustang Powder gets us going!